Well going into 2017, relevancy is more important and powerful than ever. So just assume, if you have High Trustflow Dofollow NICHE RELEVANT backI!nks in your backIinks profile, then it will definitely boost your rankings & website authority. I proudly offer High Trustflow DofoIIow Backlinks on Aged High Authority domains. 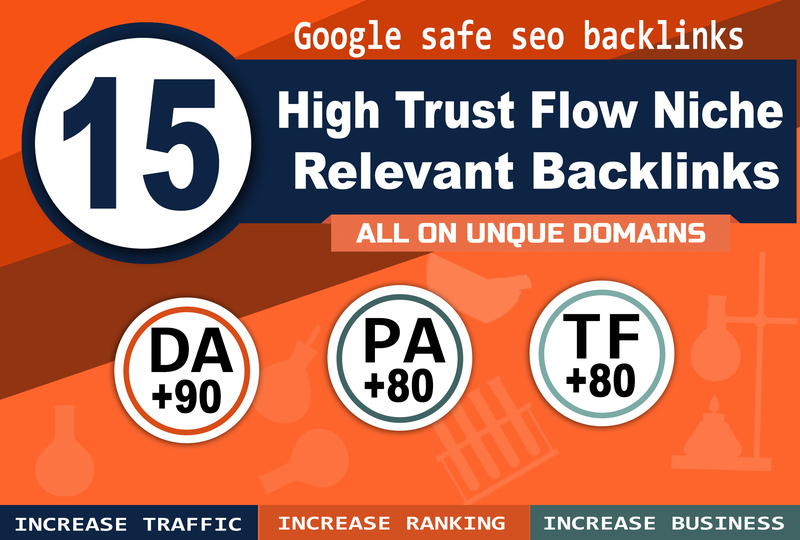 15 High Trust Flow Niche Relevant Backlinks is ranked 5 out of 5. Based on 4 user reviews.